The Rough Guide to Romania is the definitive handbook on one of Europe's most fascinating, scenic and enigmatic countries. The full-colour introduction highlights all the unmissable sights from the wilds of the Carpathian mountains to the marvellous Delta wetlands, as well as referencing the country's many unique festivals. Two full-colour sections describe the many outdoor activities on offer - from mountain hikes and skiing, to bear and wolf tracking - as well as the country's extraordinary religious architecture. This comprehensive guide reviews all the top hotel and restaurant options for every taste and budget, and includes informed background on Romania's history, wildlife, literature, music and, of course, Dracula. Accurate maps and comprehensive practical information help you get under the skin of Romania, whilst stunning photography makes this your ultimate travelling companion. 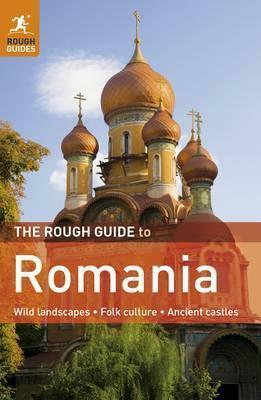 Make the most of your time on earthâ„¢ with The Rough Guide to Romania.